Tilapia is one of the world’s most popular food fish. Tilapia grow fast and adapt well to aquaculture environments, resulting in modest pricing. The flesh is white, mild, and easy to process. Tilapia are generally sold as frozen, boneless, skinless fillets. Tilapia are widely available in the USA and other countries. Many American seafood restaurants now carry tilapia on the menu. 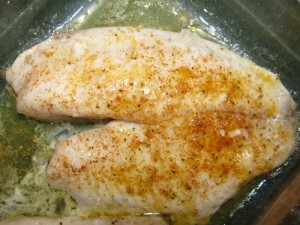 Tilapia easily integrated into existing cooking styles. Seafood lovers are likely to find the fish served fried, broiled, grilled or blackened. The flesh has a delicate flavor and is fine grained. Tilapia’s palatability became evident when news media began reporting fish substitution scandals. In some cases tilapia fillets had been sold and served as grouper or other high end meals. The public had gone unaware for the most part. The scandal certainly did serious damage to the seafood suppliers and restaurant sectors, but it may have actually helped consumers become more familiar with the product. A niche market for live tilapia exists in the USA and other countries. Live tilapia are popular in oriental cuisine and demand is high for live fresh fish.